Obituary – Hyatt, Francis Lee (Clark) « Perry High School Alumni Association, Inc.
﻿Red Hots ’60-’63, Red Hots Vice-President ’62-’63, Christmas Vespers ’60-’63, All School Revue ’60-’63; Glee Club ’60-’63. 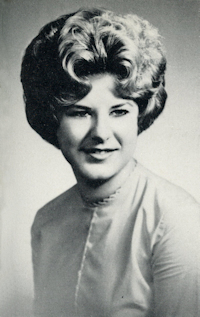 Frankie was born January 10, 1945 in Perry to Frank and Dorothy Wolfe Clark and departed this life on November 24, 2011 at Perry Memorial Hospital after a long battle with multiple sclerosis. Frankie was raised with her sister in Red Rock, graduated from Perry High School and then attended college in Tonkawa. She met and married Carl Hyatt in 1964 and they had one son, Justus in 1966. 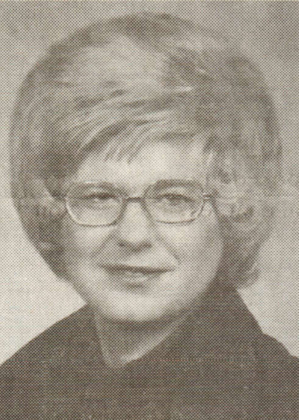 Frankie was a devout Christian who was a member of the First Christian Church in Perry where she was secretary. She also volunteered at the nutrition center in Perry and had worked for Smith Truck Service, Inc.
Frankie was preceded in death by her parents and her beloved sister, Sharon Wise.